简介: 12.491 is a seminar focusing on problems of current interest in geology and geochemistry. For Fall 2005, the topic is organic geochemistry. Lectures and readings cover recent research in the development and properties of organic matter. 简介: This is a laboratory course supplemented by lectures that focus on selected analytical facilities that are commonly used to determine the mineralogy, elemental abundance and isotopic ratios of Sr and Pb in rocks, soils, sediments and water. 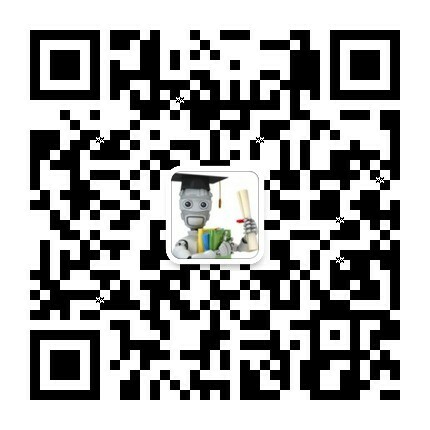 简介: This course focuses on the practical applications of the continuum concept for deformation of solids and fluids, emphasizing force balance. Topics include stress tensor, infinitesimal and finite strain, and rotation tensors. Constitutive relations applicable to geological materials, including elastic, viscous, brittle, and plastic deformation are studied. 简介: This course is designed for anyone who is interested in learning more about modern astronomy. We will help you get up to date on the most recent astronomical discoveries while also providing support at an introductory level for those who have no background in science. 简介: This undergraduate class is designed to introduce students to the physics that govern the circulation of the ocean and atmosphere. The focus of the course is on the processes that control the climate of the planet. 简介: The numerical methods, formulation and parameterizations used in models of the circulation of the atmosphere and ocean will be described in detail. Widely used numerical methods will be the focus but we will also review emerging concepts and new methods. The numerics underlying a hierarchy of models will be discussed, ranging from simple GFD models to the high-end GCMs. In the context of ocean GCMs, we will describe parameterization of geostrophic eddies, mixing and the surface and bottom boundary layers. In the atmosphere, we will review parameterizations of convection and large scale condensation, the planetary boundary layer and radiative transfer. 简介: This is an introduction to the physics of atmospheric radiation and remote sensing including use of computer codes. Subjects covered include: radiative transfer equation including emission and scattering, spectroscopy, Mie theory, and numerical solutions. We examine the solution of inverse problems in remote sensing of atmospheric temperature and composition. 简介: Es evidente que si no tomamos medidas para combatir el cambio climático el mundo será 4 grados centígrados más cálido a finales de siglo. Este incremento de temperatura amenaza nuestra sociedad tras décadas de desarrollo y nos encontramos actualmente en un punto de inflexión decisivo para el futuro de la humanidad. 简介: This course covers the following questions. What are the predominant heat producing elements of the Earth? Where and how much are they? Are they present in the core of the Earth? Detection of antineutrinos generated in the Earth provides: 1) information on the sources of the terrestrial heat, 2) direct test of the Bulk Silicate Earth (BSE) model and 3) testing of non-conventional models of Earth's core. Use of antineutrinos to probe the deep interior of our planet is becoming practical due to recent fundamental advances in the antineutrino detectors. 简介: There are now about 170 identified impact craters on the Earth, and this number is growing, ever since the well known discovery of Meteor Crater in 1920s. Currently, multi-interdisciplinary research studies of impact structures are getting conducted in fields like mineralogy, petrology, environmental geology, and marine biology. The course objectives are to introduce basic principles of impact cratering, understand the application of analytical tools, and become familiar with geological, geochemical and environmental studies. 简介: This course is designed for advanced undergraduate and graduate students with an interest in using primary research literature to discuss and learn about current research around sulfur biogeochemistry and astrobiology. 简介: This course covers examination of the state of knowledge of planetary formation, beginning with planetary nebulas and continuing through accretion (from gas, to dust, to planetesimals, to planetary embryos, to planets). It also includes processes of planetary differentiation, crust formation, atmospheric degassing, and surface water condensation. This course has integrated discussions of compositional and physical processes, based upon observations from our solar system and from exoplanets. Focus on terrestrial (rocky and metallic) planets, though more volatile-rich bodies are also examined. 简介: This course is offered during the Independent Activities Period (IAP), which is a special 4-week term at MIT that runs from the first week of January until the end of the month. 简介: We will study the fundamental principles of classical mechanics, with a modern emphasis on the qualitative structure of phase space. We will use computational ideas to formulate the principles of mechanics precisely. Expression in a computational framework encourages clear thinking and active exploration. 简介: This course introduces students to climate studies, including beginnings of the solar system, time scales, and climate in human history. It is offered to both undergraduate and graduate students with different requirements. 简介: This course introduces programming languages and techniques used by physical scientists: FORTRAN, C, C++, MATLAB®, and Mathematica. Emphasis is placed on program design, algorithm development and verification, and comparative advantages and disadvantages of different languages. 简介: Este curso provee al estudiante con conceptos y herramientas matemáticas para modelar problemas en física, que al aplicar podrá enfrentar con éxito los cursos de física universitarios. 简介: This course is a series of presentations on an advanced topic in the field of geology by the visiting William Otis Crosby lecturer. The Crosby lectureship is awarded to a distinguished international scientist each year to introduce new scientific perspectives to the MIT community. This year's Crosby lecturer is Prof. Kevin Burke. His lecture is about African history. The basic theme is the distinctiveness of the African continent in both the way that it originated 600 million years ago and in the way that it has developed ever since. 简介: This course begins with a study of the role of dynamics in the general physics of the atmosphere, the consideration of the differences between modeling and approximation, and the observed large-scale phenomenology of the atmosphere. Only then are the basic equations derived in rigorous manner. The equations are then applied to important problems and methodologies in meteorology and climate, with discussions of the history of the topics where appropriate. Problems include the Hadley circulation and its role in the general circulation, atmospheric waves including gravity and Rossby waves and their interaction with the mean flow, with specific applications to the stratospheric quasi-biennial oscillation, tides, the super-rotation of Venus' atmosphere, the generation of atmospheric turbulence, and stationary waves among other problems. The quasi-geostrophic approximation is derived, and the resulting equations are used to examine the hydrodynamic stability of the circulation with applications ranging from convective adjustment to climate. 简介: This lab-oriented course introduces the student to the subject of X-ray spectrometry and micrometer-scale chemical quantitative analysis of solid samples through an intensive series of hands-on laboratory exercises that use the electron microprobe. 简介: This lab-oriented course introduces the student to the subject of X-ray spectrometry and micro-scale chemical quantitative analysis of solid samples through an intensive series of hands-on laboratory exercises that use the electron microprobe. 简介: Le but de ce cours de base en géomatique est de présenter un aperçu des méthodes d'acquisition, de modélisation et de représentation des données à référence spatiale. Les ingénieurs civils et en environnement devront comprendre le rôle et les enjeux de la géomatique face aux disciplines de la construction, de l'aménagement et de l'environnement. 简介: How did life emerge on Earth? How have life and Earth co-evolved through geological time? Is life elsewhere in the universe? Take a look through the 4-billion-year history of life on Earth through the lens of the modern Tree of Life. 简介: Learn how all energy systems depend on the finite resources of the Earth, and how this relationship can provide a unique “big picture” perspective on energy supply. 简介: This course is designed to be a survey of the various subdisciplines of geophysics (geodesy, gravity, geomagnetism, seismology, and geodynamics) and how they might relate to or be relevant for other planets. No prior background in Earth sciences is assumed, but students should be comfortable with vector calculus, classical mechanics, and potential field theory. 简介: This course covers the basic principles of planet atmospheres and interiors applied to the study of extrasolar planets (exoplanets). We focus on fundamental physical processes related to observable exoplanet properties. We also provide a quantitative overview of detection techniques and an introduction to the feasibility of the search for Earth-like planets, biosignatures and habitable conditions on exoplanets. 简介: This class introduces fluid dynamics to first year graduate students. The aim is to help students acquire an understanding of some of the basic concepts of fluid dynamics that will be needed as a foundation for advanced courses in atmospheric science, physical oceanography, ocean engineering, etc. The emphasis will be on fluid fundamentals, but with an atmosphere/ocean twist. 简介: Explore the forests of the world, from the taiga to the tropical rainforest! Learn why humans depend on them, and how we can sustainably manage forests for us and the many species with whom we share them. 简介: This course examines diagnostic studies of the Earth's atmosphere and discusses their implications for the theory of the structure and general circulation of the Earth's atmosphere. It includes some discussion of the validation and use of general circulation models as atmospheric analogs. 简介: This course introduces parallel evolution of life and the environment. Life processes are influenced by chemical and physical processes in the atmosphere, hydrosphere, cryosphere and the solid earth. In turn, life can influence chemical and physical processes on our planet. This course introduces the concept of life as a geological agent and examines the interaction between biology and the earth system during the roughly four billion years since life first appeared. 简介: This course deals with mechanics of deformation of the crust and mantle, with emphasis on the importance of different rheological descriptions: brittle, elastic, linear and nonlinear fluids, and viscoelastic. 简介: The Earth's crust is primarily composed of melting products from mantle plumes and mid-ocean ridges - both presently and over the course of Earth history. While both systems represent upwelling features in a convective mantle, they can be viewed as end-member systems in that plumes represent buoyant flow whereas mid-ocean ridges represent passive corner flow. This paradigm is not strict - flow beneath ridges may be buoyant in some places, for example, but it does provide a reasonable framework for enquiry. 简介: In this year's seminar, we will embark on a scientific journey through some of the most controversial topics about the origin and formation of our home planet. This journey will take us to other planetary bodies - even to other solar systems - as we immerse ourselves in observations and theories from the microscopic to the universe scale. 简介: In this year's Geodynamics Seminar, we will explore the depth and breadth of scientific research related to Earth's present and past ice-sheets, glaciers and sea-ice, as well as extraterrestrial planetary ice. 简介: This course provides students with a scientific foundation of anthropogenic climate change and an introduction to climate models. It focuses on fundamental physical processes that shape climate (e.g. solar variability, orbital mechanics, greenhouse gases, atmospheric and oceanic circulation, and volcanic and soil aerosols) and on evidence for past and present climate change. During the course they discuss material consequences of climate change, including sea level change, variations in precipitation, vegetation, storminess, and the incidence of disease. This course also examines the science behind mitigation and adaptation proposals. 简介: This class is an introduction to the science of global warming for students without a science background. Students will examine the evidence surrounding climate change from a variety of perspectives and approaches, and, in the process, gain a multidisciplinary understanding of the scientific process. 简介: This class introduces the student to the use of small telescopes, either for formal research or as a hobby. 简介: In this course you will learn the basics of the life-cycle assessment (LCA) method for holistic environmental analysis of products, technologies, and systems. LCA sheds light on the environmental implications of the consumption and behavioral choices we all make on a daily basis.